Line drying originally came out of necessity – like most great ideas. In the absence of modern day dryers, washed laundry was put out onto clotheslines so it could hang to dry in the wind and sun as part of one’s daily chore. Thankfully, times have changed and so have we. Most of us now have fast paced lives that are enhanced with modern day conveniences, like washers and dryers. Although you have to admit, there’s something nostalgic, romantic even, about the notion of having a basket filled with your recently washed bedding and taking it outside to hang on the clothesline. But who really has time for that anymore? And why would anyone choose that over the push of a button convenience in the comfort of your own home? You can save upwards of $200 on your annual utility bill simply by forgoing your automatic dryer and instead, opting for using a clothesline. And even just the occasional, or more seasonal line drying can have a positive impact on your bottom line. Your sheets get a lot of use and throwing them in the dryer on a regular basis can break down the fabric fibers more quickly. Using a clothing line to line dry is extremely gentle on your laundry and one way you can ensure a longer life for your investment. The UV rays of the sun naturally help to bleach and disinfect your laundry eliminating the need for bleach. Direct sunlight will likely fade darker colors though. For Darker laundry you can still reap the benefits of line drying by hanging those items in the shade. Not all line drying needs to happen outside, especially during the winter months. By using an indoor clothes drying rack (for smaller items) or a portable clothes line, you can actually help increase the humidity in your home. We all know how dry our houses can get during the colder months of the year and air-drying inside can offset, and even boost indoor humidity. Not only is this technique good for the indoor air quality of your home, it’s also good for your laundry, as well as you and your family. More and more, it seems we are affected by the allergens in our environment and so it would seem counter intuitive to hang your sheets outside to dry. Right? Well, maybe. If you still want all the benefits of line drying but are worried about bringing unwanted allergens into your house, simply give your sheets a really good shake before bringing them inside. Then throw them in your dryer for a quick, five-minute spin, and most of your concerns should be removed. A quick dryer spin will keep the fresh scent of the outdoors intact while removing unwanted allergens. If you have your own tips for outdoor Line Drying, we would love to hear from you. Alterra Pure creates beautifully crafted heirloom bedding with the finest organic cotton from India. 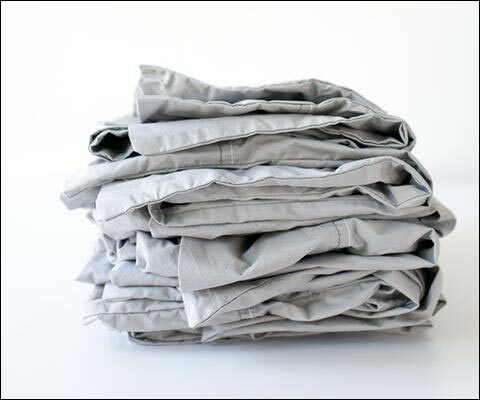 The cool, crisp comfort of organic percale is prized for it's freeing, unencumbered sleep. Your peace of mind is foremost as we control every ingredient from seed to final product and assure organic integrity throughout. Naturally, we are GOTS organic certified, but we don't stop there. We test and verify organic integrity while sharing every detail with you - right here on our website. We believe you have the right to know everything used to make your bedding, who made it, and where. Our products are Certified, Tested, and Verified. ::SIGN-UP TO RECEIVE NEWS AND DISCOUNT CODES. Once a month, we select a random email to win a free sheet set! ::.